Back Row. Left to Right. Ewart Kemp, Ernie Ellis, Ernie Tichfield, Chris Harris, Unknown, Ted Harris, Alf Barker, Jack Jones, Harry Atkins. Middle Row. Left to Right. Percy Simmons, Unknown, Unknown, Sammy Lane. Front Row. Left to Right. Joe Austin, Billy Austin, Bert Legget, Nelson Roberts, Albert Roberts. If you can identify the missing persons, please let us know. 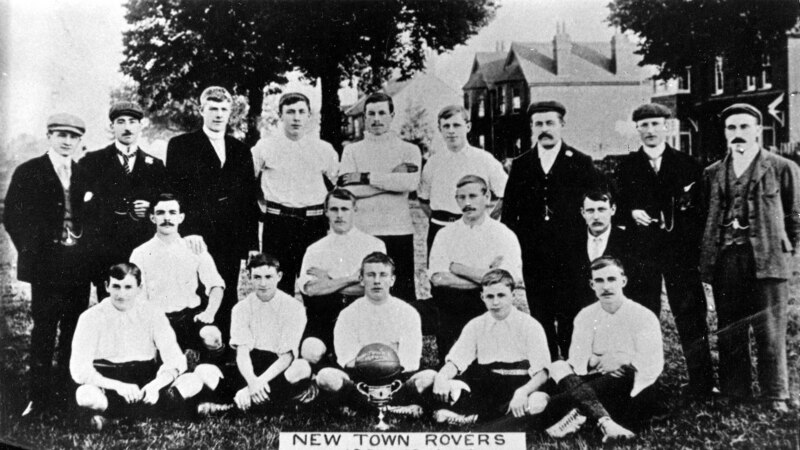 Also what is the Silverware the team are sporting in this photo?